Currently the team is in a tough spot where they struggle to contend, but finish too high in the standings to get the draft picks needed for the quickest rebuild. Saddled with huge long-term contracts for Cano and Felix, and coming off of a 76-win season, Dipoto and the other GM candidates all told team president Kevin Mather in interviews that a rebuild wasn’t the way to go and that contention in the short term was possible. It think it’s possible a lot more than it is realistic. It was in this context that new GM Jerry Dipoto took over and got busy, as the M’s made more changes to the 40 man roster than any other team. Only 1 holdover remains from last season’s opening day bullpen – Charlie Furbush. The guys he targeted for the new bullpen all have something in common – a low price tag, both in terms of payroll and the cost of acquisition. Lots of guys who struggled in 2015 that Dipoto obviously considers good bounceback candidates. Apparently Dipoto believes in the power of regression to the mean, and that reliever performance over any single season (typically less than 70 IP) is very unpredictable. M’s fans can attest to this as we already discussed the bullpens of 14 and 15. Fernando Rodney personified this as he went from amazingly good to terrible. Others may recall Shigetoshi Hasagawa’s 1.48 ERA in 73 bullpen innings in 2003. Followed by a 5.16 ERA in 2004. Outside of the top 5 or 6 guys, sometimes you are best served by amassing a large pile of arms that have a decent track record, or the potential for success at the major league level. Especially since even the top guys get very expensive after several years of success and end up way overpaid (Papelbon). So Dipoto went and got Steve Cishek, the new closer, who performed badly in 2015 and lost the closer job in Miami after several strong seasons of side-arming funkiness. He also acquired Joaquin Benoit for the 8th inning, the 40-year old Joel Peralta, the soft-tossing but still somehow effective Nick Vincent, and Evan Scribner who never walks anyone but gave up home runs last year at a historic pace. These guys and the aforementioned Charlie Furbush, as well as minor league callups Vidal Nuno and Tony Zych will make up the bulk of the 2016 bullpen innings pitched. I have no idea how they will perform individually. But I’m pretty sure they will perform better as a group than the performance the team got from their bullpen last year. Just as I was darn sure that the 2015 bullpen would be worse than the 2014 one. Regression. Dipoto also added 2 starting pitchers, the solid and durable Wade Miley for the #3 spot, and Nate Karns from Tampa for the #5 spot. They combine with Felix, who continues to lose velocity but who should be reasonably effective, Iwakuma, who is aging and injury prone but capable of stretches of brilliance when dialed in, and Taijuan Walker, who is a huge wild card. Several observers including Jonah Keri are predicting a breakout season from Taijuan Walker this year, even suggesting he will put up a better line than King Felix will. I see this group as being slightly better than average. Not great. Karns and Miley are not great, and Karns and Walker are so unpredictable at this early point in their careers, so the error bars are pretty wide on this group. If those two both pitch at their 90% projection, all of a sudden the rotation is a monster, but if the wheels fall off for both of them, then you are pushing James Paxton and Mike Montgomery both into the rotation (and out of the bullpen) and it’s a big step back. On the position player side, Dipoto added Leonys Martin in CF, Chris Iannetta at C, Adam Lind in a platoon with Dae Ho Lee at 1b, and Nori Aoki in LF. The main takeaway here is that these guys don’t have to be great to be an improvement. Nowhere is this more true than for Iannetta who replaces the aforementioned hapless production the M’s got fro the catcher position in 2015. He is projected to put up a .213/.325/.352 line (not very impressive) in 2015 according to the fangraphs depth chart tool, which would represent a 95 point improvement in OBP and a 52 point improvement in SLG. The man can take a walk. If he outperforms the projections, it’s all gravy. Martin is another bounceback candidate as he put up a disappointing season in 2015 after stronger previous seasons. He is also a superior defender in CF than anything the M’s had last year. Adam Lind rakes against RHP, and always has. The main question here is Dae Ho Lee, how he will perform against LHP (we have no idea), whether he is worth a spot on the 25-man roster, and it appears that the collective defense at 1B will take a small step back from last year. But there is no question that offensively this will be a large improvement over Logan Morrison. And signing Aoki allows for a Seth Smith and Franklin Gutierrez platoon in right field, as well as the further benefit of getting Nelson Cruz off the field defensively. The other thing I wanted to touch on is I think it’s almost a foregone conclusion that we will see a big decrease in production from Nelson Cruz. Cruz 2015 actual line: .302/.369/.566, probably his best season ever at the plate. The projections think the 35-year old’s season will be worse than his career line by a pretty wide margin. I think that is a little too pessimistic and would bet on something pretty close to his career numbers. But there is no question that his numbers will take a BIG step backward. Regression. The reasons for optimism go beyond regression toward his career numbers. Cano had surgery to fix a hernia he was struggling with last year that also limited him in the field. He also hit well all spring and as I write this in game 3 he already has 3 home runs. No, make that 4 as he just hit another in this game. I believe the M’s will pick up as much production with Cano as they will give up with Cruz. I’m also predicting a lot better defense in CF, RF, and 2B, and perhaps a slight improvement in LF and SS. 1B and maybe C will probably be slightly worse, defensively, but overall the defense has taken a big step forward, especially in the outfield. This will help our pitching. We will also see big leaps forward in the offense we get from C and 1B, a modest improvement at 2B, and probably a small improvement at DH, and probably a big decline in RF even though Smith/Gutierrez should be a strong platoon. Heck this should probably be a table. Hey you get what you pay for. OK, if you’re read all of this, you are in select company I assure you! I’m just happy to have some stuff typed up because the last few years I’ve felt frustrated that I, a casual fan, seemed to have a better idea of what would happen with the team than the team’s brass did. I have a lot more trust in the current regime, but I finally did the preseason write-up I’ve been wanting to do. And now it will be easy to look this post up and mock my foolishness. Hence the title of the post. I started this before the start of today’s game 3 against Texas and am finishing during the postgame show. Alaska is the land of over-the-top superlatives. Mind numbing record low temperatures. Not just the biggest state, but the state so big we could cut it in half and Texas would be the 3rd biggest state! The state with more coastline than the other 49 states combined! The highest peak in the 50 states! The Aleutians with their preposterous winds. The jaw-dropping salmon runs, volcanic activity, earthquakes, northern lights, you get the idea. In the same vein, we now have the amazing Alaska budget deficit! The short version is that the pipeline is carrying less and less crude oil as the legacy fields on the north slope are getting depleted, and couple that with oil at $30 per barrel, and you get a massive deficit. Just a few years ago oil was over $100 per barrel and the state was flush with cash and spending as much as $8 billion per year. As the price dropped, cuts have been made to the point that the current state budget is around $5.5 billion (with revenue of around $1.8 billion), and next year’s budget may be as low as $4.1 billion if the conservative state legislature has it’s way. But the state is projected to bring in only $1.2 billion in revenue. Not good. Many have pointed out the obvious: There is no way the legislature can cut their way out of this mess. Not that they aren’t trying. Alaska is a notoriously conservative, anti-tax state. No state sales tax, and no state income tax since it was abolished in 1980. Residents have become so accustomed to getting something for nothing that most are refusing to accept reality now. You can read much more about this here and here and here and here and here and many others if somehow that doesn’t slake your thirst. From that last link (The Atlantic), “But Alaskans are fiercely protective of their checks, and of their state’s savings. This might be the most tight-fisted state in the union.” And “But for the time being, Alaskans seem to want to hang on to the good old days for as long as they can, scrimping and saving despite having billions in the bank.” Yup. I took part in an exercise that challenges Alaskans to balance the budget themselves using an online simulator, at plan4alaska.com. You can view my balanced budget here. If you want to take a stab at it, go to plan4alaska.com and click on “take the challenge” at the top. I don’t want to come off as self-righteous, but I have never been able to get my head around why my fellow Alaskans so resent the idea of paying their share for the cost of government. The plan I went with is pretty similar to the governor’s plan, calling for a state income tax of 10% of the federal tax (I believe the governor is seeking something like 7%). For Tammy and I using our 2014 taxes as a real world example, the 10% would come out to about $650, or less than 1% of our total income. (If you need a primer on the difference between marginal tax rate and effective/average tax rate read this or this) The $650 in my 2014 example equates to less than $2 per day, for schools for our kids, airport maintenance here in Kasigluk, the court system, etc. So maybe this makes me a crazy liberal, but I consider that a bargain at under $2 per day. This is a little disingenuous though as my plan also calls for a 3 or 4% sales tax which would almost certainly take more of our money than the income tax would. Really? Senate leaders, let me tell you what business you ARE in. You are in the business of running a state government. As a part of this business, money comes in and out. You are in charge of making sure the revenue keeps up so the state has the money to pay for the expenses. And state revenue is collected, for the most part, in the form of TAXES. You can quibble over semantics if you wish, but the fact is that our existing state income is already in the form of taxation levied on corporations, and taxes on resources such as barrels of oil, as well as on the fishing and mining industries. So you ARE, actually, in “the tax business.” You always have been. You know it, we all know it, so drop the games and do what is right for the state. The reason there is some urgency here is that the “sovereign wealth concept” really only works if you have a large enough principle to earn interest with. If we choose to kick this down the road and burn $4B in savings every year, we are eating the golden goose. We should be smart enough, humble enough, and forward thinking enough to pay a little now so everyone profits big-time down the road. Today was opening day for a few teams, and my beloved Mariners start out tomorrow in Texas, when King Felix will dethrone Cole Hamels, Adrian Beltre, and the rest of the Texas Ranger lineup. 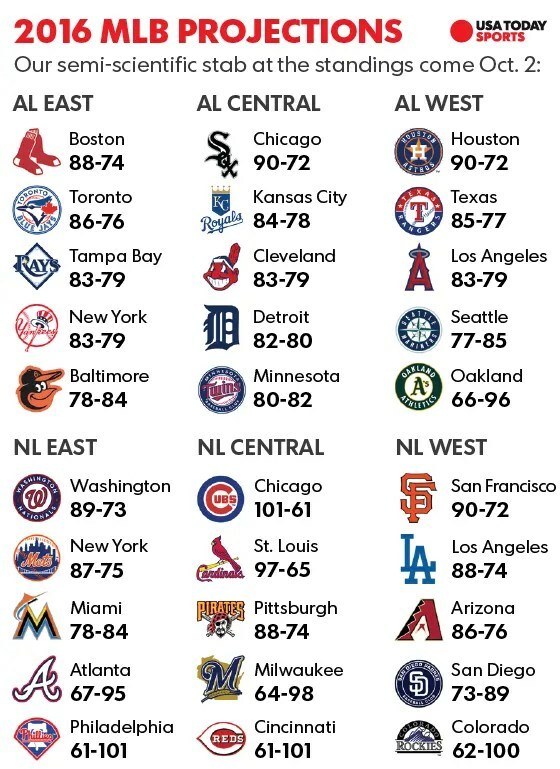 As spring training winds up, all of the major media outlets put out their predictions for which teams will make the postseason. Every year these kind of make me crazy, and there are a few common picks that I disagree with and I think I should post my contrary predictions. And this year I’m doing it. For example, everyone picked the Nationals last year to win the NL east. As I recall something like 54 of 54 people at ESPN picked the Nats to win the NL east. The problem is, let’s say a team is 60% likely to win a division. Well then of course everyone should pick them to win, but then when you see *all* the experts picking them to win, it makes that team appear to be far more dominant than they really are. And it pushes me toward being a contrarian and picking the teams noone else is picking but who still have a real shot. Which is a great way to miss on almost every prediction except 1 or 2 that noone else made. Soooo, we’ll see how this goes. Quibbles – The Angels finishing over Seattle? I see Anaheim as a 4th place team at best, and Oakland may finish ahead of them. They have the best player of this generation, or maybe ever, surrounded by bad players. Richards can be a good pitcher, but the rest of the starters look to be poor. And in the lineup Pujols is a shell of his former self and is probably their 2nd best hitter. I could see them losing 90 with Trout, and 100 if he gets hurt. I see Houston as the clear favorite in the west, and Texas and Seattle have a high degree of volatility in their possible outcomes. The Rangers could be undone by the back end of their rotation, especially before Darvish comes back. Seattle has so many eggs in the Cano & Cruz baskets, and those players are aging and at some point the production will really start to decline. Cruz was so far above his career line last year, it is almost a given that he will massively decline this year. However, Cano looks primed for a bounceback year after getting over his health issues from last year, and those 2 things might be a wash, statistically. If pressed I’ll pick Seattle to finish 2nd in the west, and yes my objectivity here is hopelessly compromised. I’m putting the Astros at like 89 wins and the M’s at 86 and Texas at 85. Specific enough? And 3 or 4 wins apart really means it’s anyone’s division to win, especially if injuries crop up, or one of the team goes 15 games over .500 in 1-run games or some other fluky thing. Over in the AL Central, I will admit that this is a difficult division to predict, but I would take Cleveland or the Twins before the White Sox, though I do think the southsiders will be in the mix to the end and have a real shot at winning it. And I’m picking the Tigers to finish at the bottom with the Royals (yes, last years champs). When I say the bottom I mean around .500 in what is a very deep division (no really bad teams). The Tigers strike me as a brittle, top-heavy team that could win 90 games if everything goes right, but it is the very rare season in which everything goes right like the 2001 116-win Seattle Mariners. I think the whole division will win 80-something games. If forced to go with 1 team I’ll take the Twins. Tons of young talent there. Sano is a monster. In the AL East I think USA today has the O’s and the Yanks winning too many games. I guess one theme with my picks is I’m very leery of what I perceive to be the older, more injury prone teams, or the “stars and scrubs” rosters that carry a lot of risk in 1 or 2 great players, especially as those players age. I see the Yankees falling down to like 74 wins this year, and the O’s to a record of 69-93. So who do I like in the east? I like all 3 of the other teams, but I’m going to go with Tampa. I told you I like to be a contrarian. They have the pitching depth and just enough offense. I’m optimistic about Brad Miller. Those guys really know how to do more with less. I’ll take Toronto 1 game behind them, and Boston 1 game behind Toronto. 90, 89, and 88 wins. OK, it’s after 1 am and I’m not as much of an NL guy so let’s speed this up. I’m *agreeing* with USA today’s NL east predictions! Not just because I’m sleepy but I do like the Nats over the Mets this year. It’s kind of silly that almost everyone picked the Nats this year, then they all go bleeting over to the Mets side after the Mets did well. We so easily overreact to *recent* events and give those events too much weight in our analysis. The Nats have Harper, and I think Rendon can bounce back, they have good pitching. The Mets have pitchers who throw hard and get a lot of Ks. They are good pitchers. But I don’t particularly love their bullpen or their lineup. Plus they have the Wilpons as owners (terrible reputation) and it’s always nice to be able to root against those guys. I can quibble with the NL Central. In my biggest upset pick I’m going with the Pirates to break through at last. Of course the Cubs are better on paper. That is why everyone is picking them. They have the best front office int the game probably. Awesome young talent all over the place, yada yada yada. But everyone is picking them, so I’m going with the pirates. I’ll admit that it’s probably like a 1:4 shot or something but it’s a legit shot. Like any team there can be injuries, maybe a sophomore slump or two, anything can happen. I don’t see it with St Louis. I know they are a development factory and they just seem to manufacture good players out of thin air (bricks without straw!) – which by the way makes me crazy as a Mariners fan, an org that is the polar opposite of this in terms of player development. We can ruin top 10 prospects if you give us a chance. The Cardinals can make all stars out of guys off of the top 100. Anyway I’m going with Pirates beating the Cubs in a one-game playoff to decide the division with 92-94 wins, and the Cards finishing with 85 wins. I like their pick of the Reds with 61 wins, but I’ll pick the brewers to win 59 as they jettison all present talent for future lottery tickets. In the NL West I’m going with Dodgers first, Dbacks and Giants tied for 2nd like 5 or 6 games back, and the Pads and Rockies way, way back in 4th and 5th place. I guess the Rockies are a better team than the Padres, though USA Today disagrees. They’re both bad, but the Rocks have Nolan Arenado, whose hitting is eclipsed only by his superlative fielding. Both teams seem to lack much of a coherent plan, as far as I can tell. Phew! OK, 1:24. Tammy is still at work planning her lessons for the week (man those teachers are all overpaid, amirite?? ), but even she won’t be there much longer so I must wrap this up. Here is a link to the fangraphs staff predictions. Kudos to them for the amount of variability in their picks. None of the divisions are unanimous as the Nats were in years past on espn as I mentioned above. Here are ESPN’s picks. You can google more from SI, cbssportsline, nbc sports (hardball talk), etc etc. In scanning these, I guess I’m most contrarian when I pick the Rays, Pirates, and Dodgers. I’m kind of surprised that the Dodgers were picked by so few, at least at espn. They can kind of buy their way out of any mistakes they make. I knew the Rays and Pirates would be a little out there, and the Jays offense makes me waiver a little on the Rays pick but I shall not be, I shall not be moved. Predictions are a fools errand. And this is quite true when it comes to predicting outcomes in sports, where luck (or chance if you prefer) holds far more sway than most of those connected to the game want to admit. Foolish or not, I’m crossing this errand off. On to other items on the to-do list, like blogging about Alaska’s budget problems, filing our taxes, and prepping for class tomorrow.